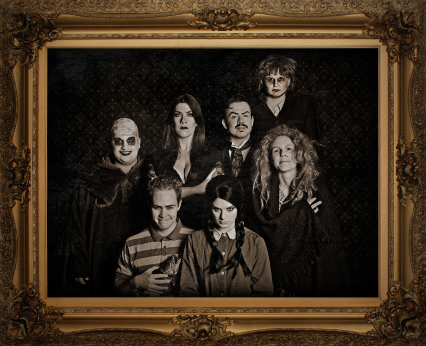 Get ready for some toe tapping and literal finger snapping as The Royal Conservatoire of Scotland brings The Addams Family musical to town. Originally created by cartoonist Charles Addams, those well known characters are back and kookier than ever. From the moment you walk into the theatre at the Assembly Hall, the spooky vibe is just as you would expect. The graveyard gates creak open as we are introduced to the stellar cast during the opening number, 'When You're An Addams'. While the rest of the family are revelling in shadows, blood and poison there's something not quite right with Wednesday - she's fallen in love. If the rest of the Addams clan aren't horrified enough at this prospect, Wednesday's boyfriend Lucas and his parents are on their way for a family dinner. Will they be able to have one normal night? You'll have to go and find out. The cast as a whole are fantastic and have great on stage chemistry with one another. Cassie Muise had lovestruck Wednesday down to a tee, particularly during her solo song 'Pulled' where the character wrestles with her conflicting feelings. Martin Murphy gave an animated performance and brings a lot of laughs as father of the family, Gomez. Special mention to the ensemble, whose portrayal of the deceased family members provided visual interest and really added depth to the performance. With a running time of 2.5 hours The Addams Family is longer than your average Fringe show, but the witty script and catchy songs keep the pace steady and audience interested. Definitely one not to miss!